Follow in the footprints of wild beasties in this unique book of life-sized paw prints. Yup: these critters are for real! 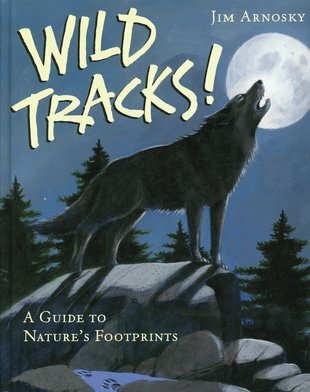 This one-of-a-kind guide shows you how to identify wild animals by their unique tracks. But it’s not just a set of pictures: these prints are actual size. See how a polar bear’s huge paws are perfectly adapted to stop them slipping in the snow. Find out how a tiny bird marks its path. Whether you’re tracking a mouse or a moose, you’ll find all the help you need in the pictures and notebook entries. A must for camping trips and wild outdoor treks.